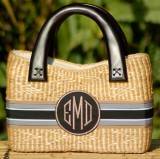 Queen Bea Monogrammed Extra Large Half . 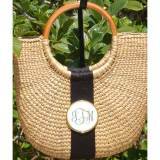 . .
Queen Bea Monogrammed Medium Becky Florida . 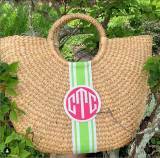 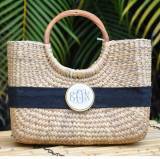 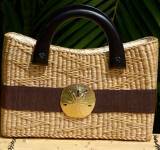 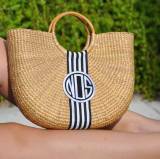 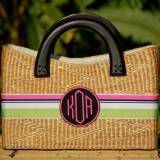 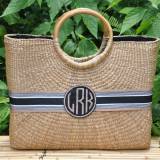 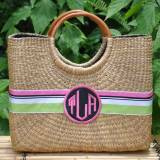 . .
Our love of travel bags, shopping totes, sewing bags, and monogrammed design catch-alls led us to create our custom made monogrammed basket handbags. 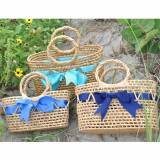 Great colors and solid construct give vibrance to these new school preppy Florida Baskets. 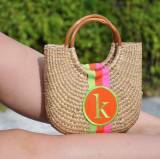 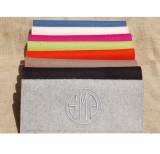 Bright lettering with pin striped ribbon is a fabulous eye catcher. 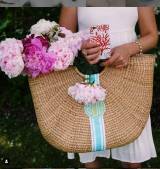 "Where did you get that bag!"